Bits of Splendor: Merry Christmas! I am sitting in my little sisters hospital room waiting for sweet baby Olivia Joy to make her appearance. Should be very soon. The sound of her little heartbeat on the monitor is filling the room. Sweetest sound ever......Life is such a gift in every way and in every phase. We had our plans for celebrating this Christmas Eve, but I can't think of a better way than welcoming a new precious life into this world and remembering the One who came long ago. To set us free and give us life in full. "But the angel said to them, “Do not be afraid. I bring you good news that will cause great joy for all the people. Today in the town of David a Savior has been born to you; he is the Messiah, the Lord." Merry Christmas and Much Love to each of you! 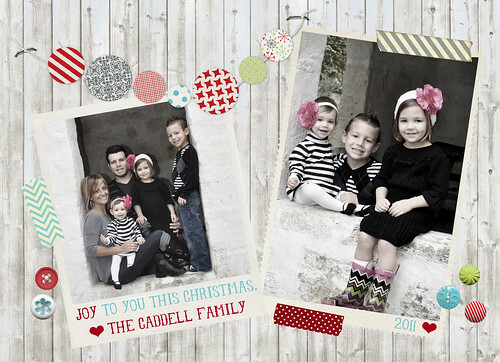 I pray you are enjoying your family and friends in these last bits of 2011. This year has brought so much good. So much change, renewing, refreshing, learning, growing...so much "new." I'm blessed, thankful and excited to see what 2012 brings! Card design by Life Made Lovely. What a great place to be and a beautiful miracle to witness! Merry Christmas! such a lovely card! merry christmas! !